Appleton Universal ground clamp of trade size 1-Inch, features hot-dip galvanized malleable iron construction and comes with zinc electro-plated steel screws. It accommodates conductors of size 1-AWG - 250-KCMIL. Ground clamp measures 2-1/8-Inch x 1-1/2-Inch x 2-3/16-Inch. 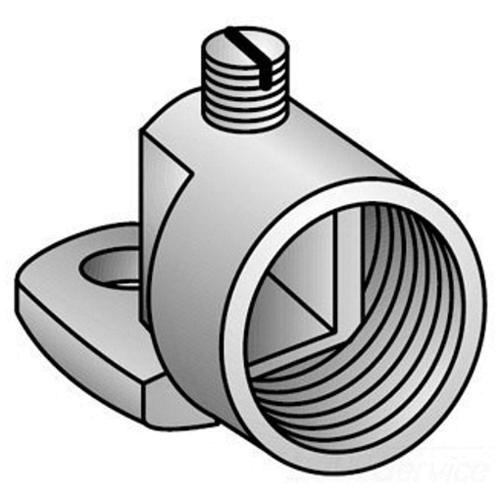 It is suitable for connecting grounding conductors run bare in armor/conduit. Ground clamp is UL listed.